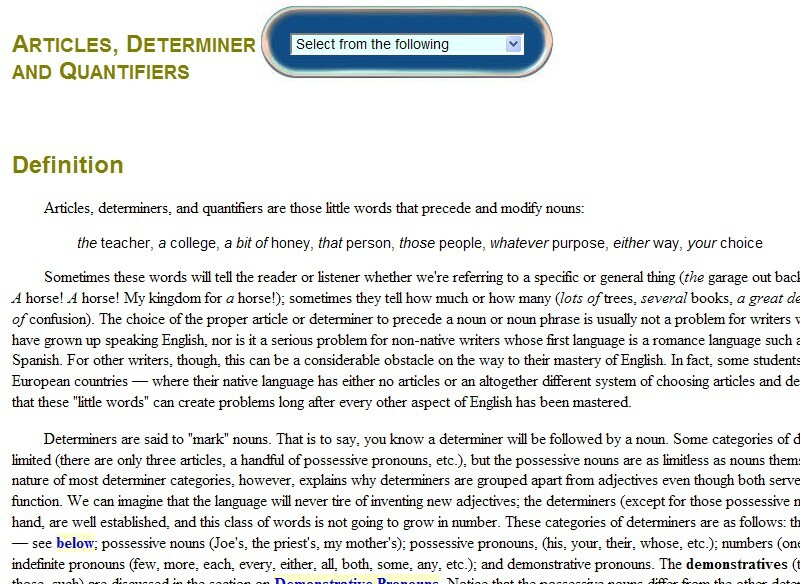 Articles, determiners, and quantifiers are those little words that precede and modify nouns. They are an essential part of constructing basic English phrases. This site offers detailed information and examples about using all three.